ELC & Elementary School Sports Day is coming up soon! 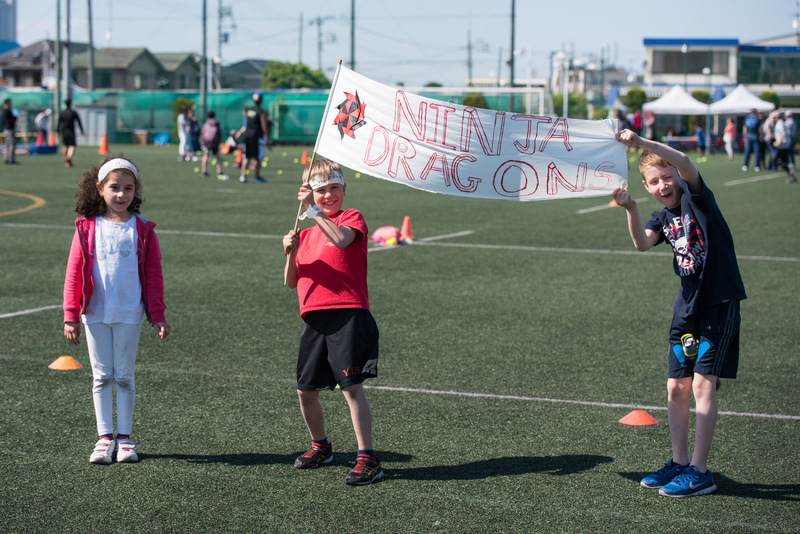 We are very happy to announce that Elementary Sports Day will take place at the Yokohama Country & Athletic Club (YC&AC) on Thursday May 4. As well as a great deal of fun with team and individual activities, this year’s Sports Day will be a celebration of the students’ learning of individual pursuit, running, jumping and throwing. The students will explore events with the skills they learned during the current unit in Physical Education. 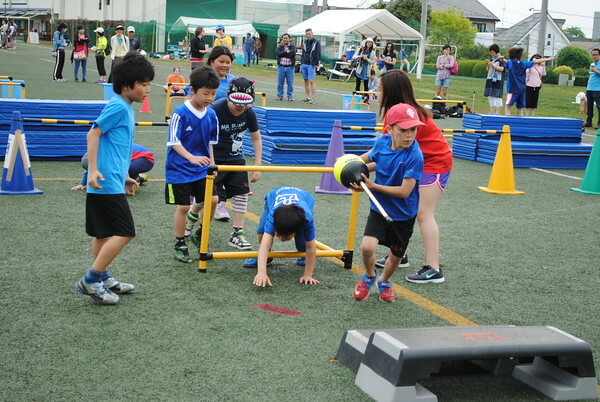 The ELC will participate in the Elementary Sports day as well. The date of the event, Thursday, May 4, is a Japanese national holiday and provides a great opportunity for parents and relatives to attend the event up at YC&AC. Please feel invited to come along and be part of the day and cheer loud! ELC, Kindergarten, Grade 1 & Grade 2 are to meet at the YC&AC at 8:45am and will be dismissed from the YC&AC at 11:30am. *Please note there are no classes for the elementary school this day and no students will be taken back to school. They should be dropped off and picked up from YC&AC. Grade 3, Grade 4 and Grade 5 are to meet at the YC&AC at 11:55pm and will be dismissed from the YC&AC at 3:00pm. *Please note there are no classes for the elementary school this day and G3-5 students will not need to attend school in the morning or go back to school afterwards. They should be dropped off and picked up from YC&AC. 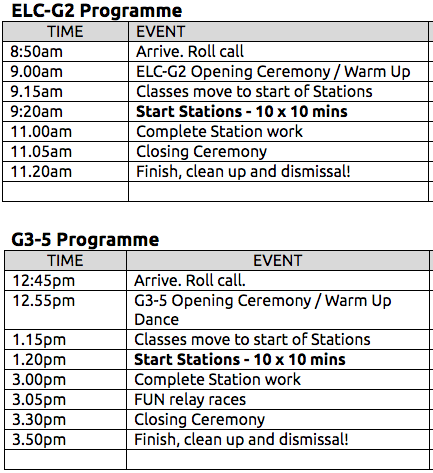 All staff are looking forward to this day of sport, fun and spirit. We have also seen a great deal of excitement in the students, too. Again, please feel warmly invited to attend this day. We hope to see many of you there. Grade 3 has performed their sequence of gymnastics movements. We have focused on the concepts of form, function and perspective to consider how to make an entertaining performance for our audience. 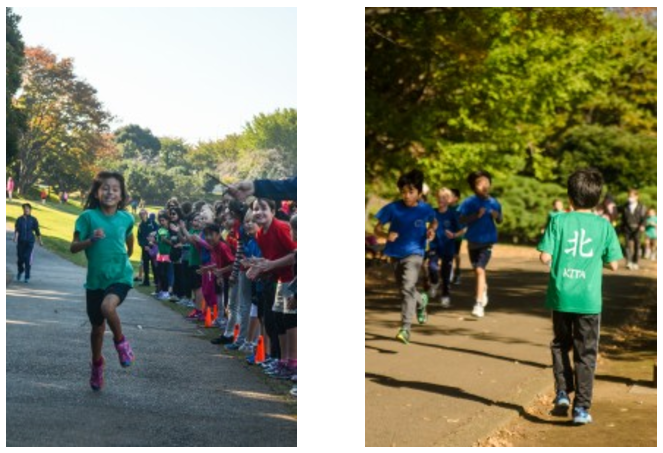 We are excited to announce that the annual YIS Cross Country will be held in Negishi park on Friday, November 18th from 9am to 11am. 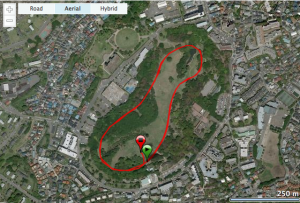 The students will have choices to run 1 lap (1.3km) or 2 laps (2.6km). They will set their own goals and try to achieve them on that day. 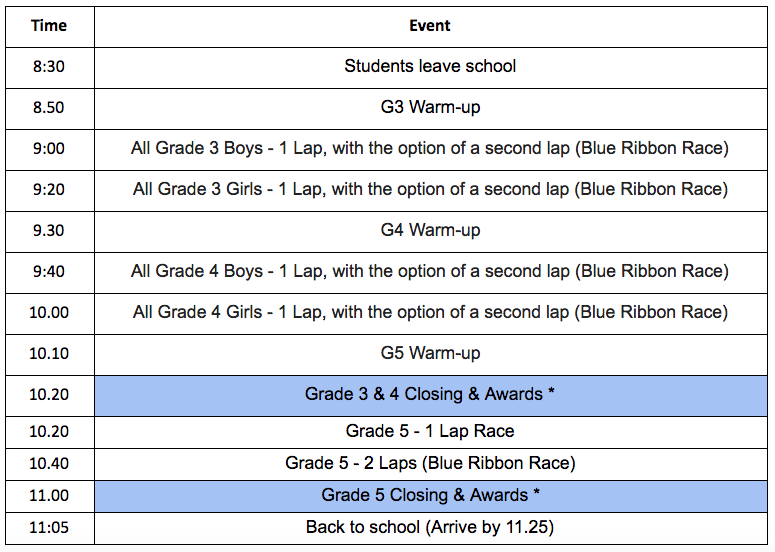 The race schedule is detailed below. 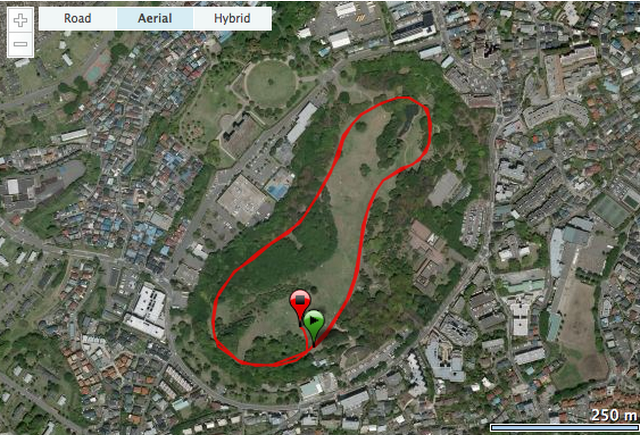 If time does not permit the awards being handed out at Negishi Park, this will take place at school. Every PE class from Grade 3-5 will have the opportunity to complete some practice in advance of this exciting day during PE time. 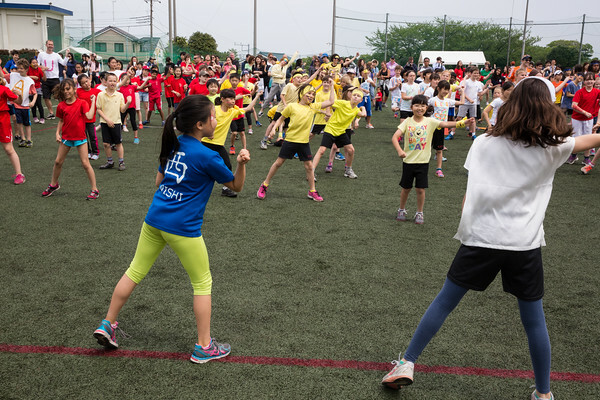 Grade 3 will have an opportunity to practice at Negishi Park on November 9th, when they will take a bus to the park with their homeroom teachers and the PE teachers. Unfortunately, the park requested that we do not use the park for the other grades to practice, so we will be practicing closer to school this year. Grade 3-5 students who are keen to complete more training might like to talk to their parents about adding some extra fitness based activities during the holidays and weekends. All students need to wear proper athletic running shoes. Shoes should offer plenty of support and grip and be appropriate for sports. We would love your support on this day, so please feel free to come along to Negishi Park to watch the races. Unfortunately we are limited to 2 busses so we do not have space on the busses for parents and other spectators. 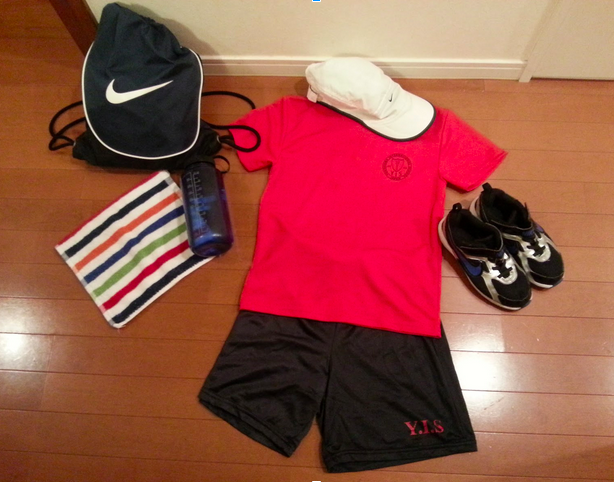 Welcome to YIS Elementary PE! We have already had an exciting start in PE. We started off with the Adventure Challenge Unit. With the new classes and friends, students have been working hard communicating and helping each other in class. Here are some photos from the last two weeks! You can purchase a PE shirt at the school store (Dragon’s Den) that is located inside the cafeteria. In grades 3-5, we will always offer the students an opportunity to shower/wash after PE to promote good hygiene. We do ask that students in these grades bring a change of clothes to wear after PE so that they don’t have to spend the rest of their day in sweaty clothes. I look forward to a great year with the students! 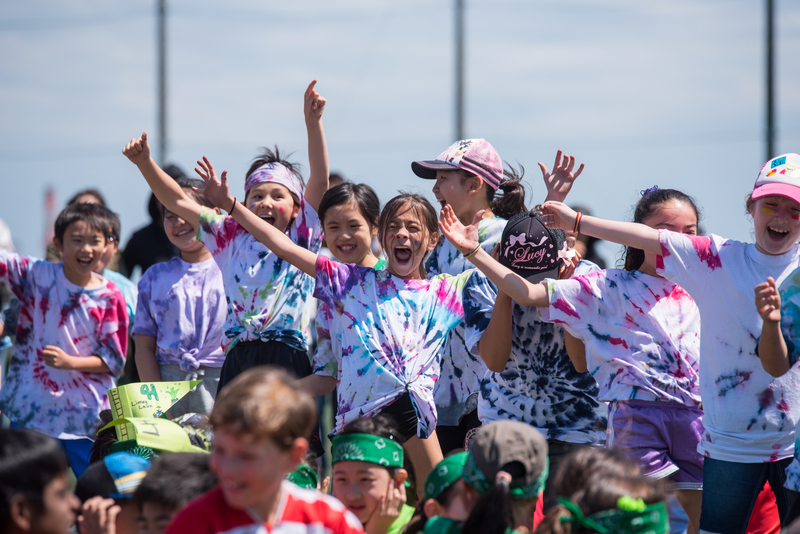 ELC & Elementary Sports Day Photos! 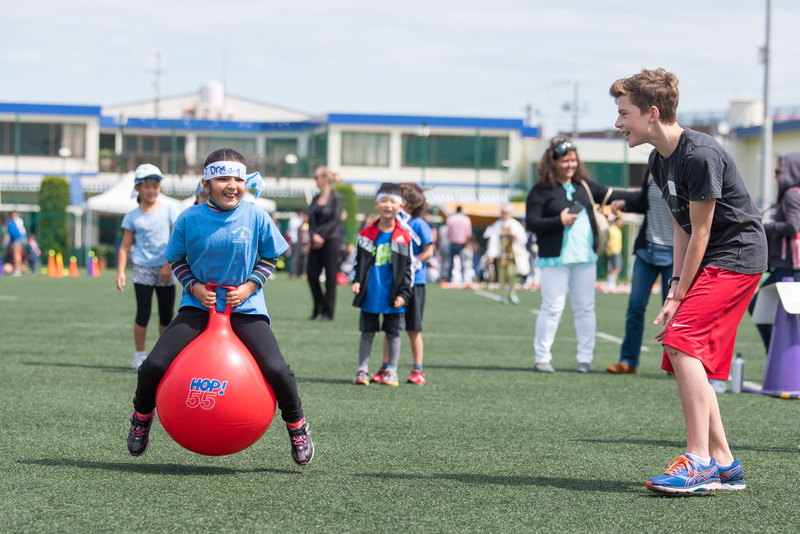 We are very happy to announce that Elementary Sports Day will take place at the Yokohama Country & Athletic Club (YC&AC) on Friday April 29. The date of the event, Friday, April 29, is a Japanese national holiday and provides a great opportunity for parents and relatives to attend the event up at YC&AC. Please feel invited to come along and be part of the day and cheer loud! ELC, Kindergarten, Grade 1 & Grade 2 are to meet at the YC&AC at 8:50am and will be dismissed from the YC&AC at 11:30am. Grade 3, Grade 4 and Grade 5 are to meet at the YC&AC at 12:45pm and will be dismissed from the YC&AC at 3:50pm.